A couple weeks back I was spending some time surveying breeding birds in southwestern North Dakota. 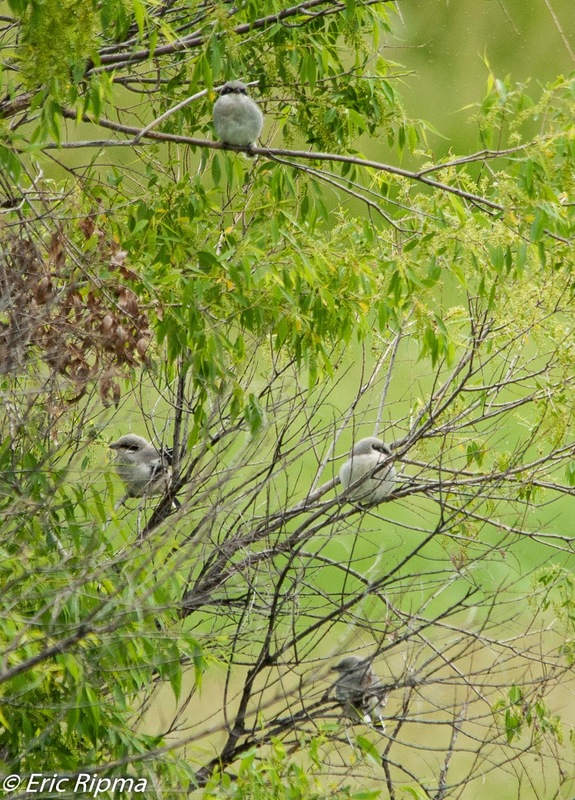 One evening, I came across a family of five Loggerhead Shrikes. The four fledglings stayed on the edge of a bush while the adult would hunt from some nearby telephone wires. Every couple of minutes the adult would have a successful hunt and come back to feed the fledglings. Over about an hour period the adult had 6-7 successful hunts. The NuttyBirder.com Bird Quiz is Back!